"The jackasses at Elections Canada are out of control." Stephen Harper wrote that sentence back in 2001. This was in the days before he was the leader of the Reform Party. He was fundraising for the National Citizens Coalition, a conservative lobby group. At the time, he was pissed off that Elections Canada was enforcing a law banning the publication of election results before all the polls closed. But his anger at Elections Canada extends far beyond that. One Conservative who worked with him at the time claims that Harper's hatred for election officials is a "never-ending" "blood feud". Of course, in truth, Elections Canada is one of the most respected electoral bodies in the entire world. They're the people who ensure that Canadian elections are free and fair. In fact, they're so good at it that they get asked to send observers to other countries — places like Iraq, Haiti and Afghanistan — to make sure their elections are free and fair, too. But to Stephen Harper — a Prime Minster vindictive enough to compile an "enemy list" and brand those who disagree with him on environmental policy as "radicals" and "terrorists" — Elections Canada officials are simply out to get him. So maybe it's not all that surprising that the Conservatives have been breaking election laws ever since the beginning of Harper's rule. In the election that brought him to power, they illegally transferred money to and from local campaigns so they could get around spending limits. Candidates who refused to break the law say they were punished by the party. More recently, a polling firm hired by the Conservatives made phone calls to voters in a Québec riding held by a Liberal MP, Irwin Cotler. According to the Toronto Star, "The company’s callers suggested to constituents — falsely — that Cotler either had or was about to quit as the Liberal MP for Mount Royal" and asked if they would vote for Harper in the "upcoming election." But Cotler was not resigning; there was no upcoming by-election. However, there's no law against misleading voters about make-believe elections (unless there's concrete evidence a political party was directly responsible), so Elections Canada couldn't do anything about it. Even the conservative National Post ran editorials accusing the Conservative Party of "arrogance and hyper-partisanship." But the Conservatives haven't shown much regret. 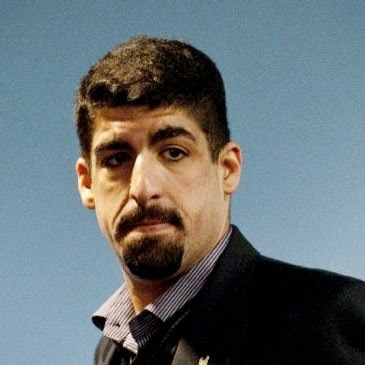 When Nick Kouvalis, a partner in the polling firm responsible for the phone calls (he's also the guy who ran Rob Ford's campaign and has now signed on with John Tory) was asked about it, he wasn't exactly apologetic. "We're in the business of getting Conservatives elected and ending Liberal careers," he boasted. "We're good at it." In fact, Kouvalis has co-founded a training school for Conservative campaign managers. They bring together people like Harper's ex-Chief of Staff, Conservative pollsters and Sun Media executives to teach those same very techniques. In 2010, a professor from the University of Victoria (a member of the Order of Canada) attended a session. He was appalled by what he saw. In one Q&A (which he stressed Kouvalis wasn't there for), Conservatives openly discussed ways to make sure Liberal and NDP supporters didn't get out to vote. That included pretending to be from one of those parties while making rude phone calls. "Instructors made it clear that robo-calling and voter suppression were an acceptable and normal part of winning political campaigns," he said. ""[T]he mood of the meeting was that this is war and that anything goes". In the last federal election, Conservatives seem to have used those techniques more often than ever before. Thousands of voters received misleading phone calls on election day. Automated messages targeting non-Conservative voters told them the location of their poll had changed. The robocalls were reported in the vast majority of the ridings in Canada (247 of 308). In one riding alone, hundreds of people showed up at the wrong location. In some ridings where the calls occurred, the Conservatives only won by a few hundred votes. The calls have been traced back to a strictly-controlled Conservative Party database and the company whose system was used to make the calls, RackNine, held an exclusive contract with the Conservatives. And it wasn't just robocalls and fake polling locations. Calls from live operators were also made. People working at one call centre say they were told to present misinformation about polling locations and to falsely identify themselves as Elections Canada employees. Another message was recorded, pretending to be from the Liberal Party, to be sent in the middle of the night in order annoy voters. It wasn't used, but others were: voters say they received late night phone calls claiming to be from the Liberal Party, along with rude phone calls, phone calls made to Jewish voters on the sabbath and phone calls made using racist accents. Even Preston Manning, founder of the Reform Party, called the voter suppression tactics "deplorable". When Elections Canada began to investigate the fraud, the Conservatives dragged their feet. Party workers were told not to speak publicly about the issue. Witnesses refused to be interviewed. The head of Elections Canada said he wasn't getting the help he needed from the government. (So far, only one campaign worker has been charged — and he claims he's being used as a scapegoat by powerful members of the Conservative party.) When private citizens took the matter to court, the Conservatives tried everything they could to kill the case. According to the federal judge who heard it, Conservative MPs "engaged in trench warfare in an effort to prevent this case from coming to a hearing on the merits... the stance taken by the respondent MPs from the outset was to block these proceedings by any means...'" The judge found that fraud had occurred, that the Conservative database was the most likely source, and that the fraud was serious enough that he would have to overturn the election results if there were concrete proof of the party's involvement. Then, the Conservative MPs sued the citizens for more than $350,000 dollars. 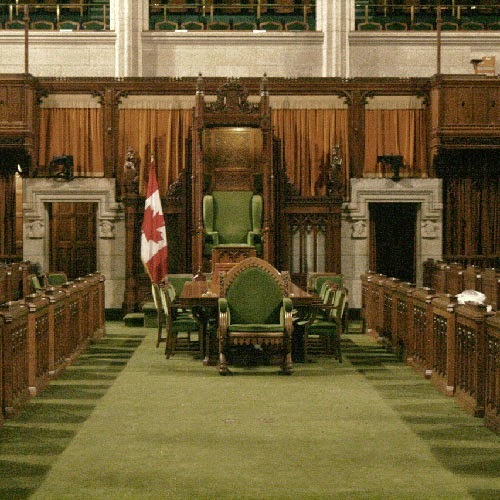 In response to the scandal, the House of Commons voted unanimously (238-0) in favour of a motion asking Prime Minister Harper to give Elections Canada more power to investigate the fraud. MPs asked the Prime Minister to move quickly — they wanted him to introduce a bill ensuring the next Canadian election would truly be free and fair, without the widespread fraud of the 2011 election. That was two years ago. The Conservatives have now finally introduced a bill to change the election laws in Canada. But instead of giving Elections Canada more power to investigate fraud, it gives Elections Canada less power to investigate fraud. They've given the bill the Orwellian name of the "Fair Elections Act." By all accounts, there are a few things to like about the bill. It creates a registry for robocalls. It will now be against the law to impersonate an elections official. But it creates more problems than it solves. Critics have raised deeply disturbing questions about what the new laws will mean when voters next go to the polls in 2015 — questions that suggest the Harper government is trying to rig future federal elections in favour of the Conservative Party. No less of an authority than Sheila Fraser, the former Auditor General who uncovered the sponsorship scandal, calls the bill "an attack on our democracy". Voters will no longer be able to have other people vouch for them as a form of ID. About 120,000 people used vouching as a method of identification when they voted in the last election. According to the head of Elections Canada, the "Fair Elections Act" means that many of those people "will be denied the right to vote" in the next election "even though they are citizens, qualified and perfectly legitimate." The change may very well be unconstitutional. Critics suggest the move targets Canadians who are less likely to vote Conservative: for instance, "people without fixed addresses, such as students, the poor and aboriginals". The Conservatives claim they're trying to crack down on fraud by individual voters, but the report they keep citing doesn't present any evidence of fraud by any individual voters. The author of the report told the Canadian Press, "I never said there was voter fraud. Nor did the Supreme Court, who looked at this extremely carefully... The argument doesn't have any logical, factual grounding..." According to the CBC, he says "the government's efforts to prevent voter fraud are aimed at a non-existent problem." During a debate in the House of Commons, one Conservative MP claimed that he had personally witnessed voter fraud. Later, he admitted that wasn't the truth. In fact, the report the Conservatives keep citing actually recommends making it easier to vote, not harder. It suggests that in addition to vouching, voters should also be allowed to use the voter cards sent to them by Elections Canada as a form of ID, which was introduced as a pilot project during the last election. Instead, the "Fair Elections Act" will kill that program entirely. The Elections Act currently gives the Elections Officer the ability to promote Canadian democracy by encouraging people to vote, especially "persons and groups most likely to experience difficulties in exercising their democratic rights." The Conservatives are getting rid of that provision. 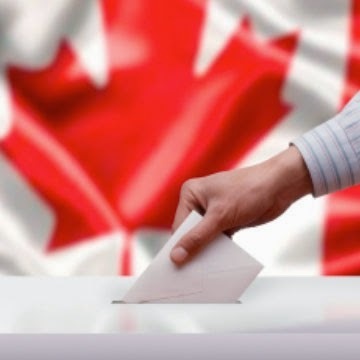 It will now be illegal for Elections Canada to encourage voting, despite the fact that in recent elections voter turnout has reached historic lows. The Conservatives claim that's why they're making it illegal: because it's not helping. But studies show that non-partisan get-out-the-vote campaigns like the ones by Elections Canada do help to increase voter turnout. Without them, turnout might be even lower. Once again, critics suggest the new law is meant to keep people who don't vote for the Conservatives away from the polls. As the National Post reports, "Elections Canada's own data shows that youth... are likely to be on the losing end if it is forced to cancel programs promoting civic engagement." According to the Elections Officer, Canada will be breaking new ground in the muzzling of its own election officials. "I’m not aware of any electoral bodies around the world who cannot talk about democracy," he told the CBC. The same part of the bill that makes it illegal for Elections Canada to encourage people to vote also restricts what the officials can tell the public: they will only be allowed to share basic information, like where to vote. Critics point out that it will now be illegal for Elections Canada to blow the whistle and publicly warn Canadians when they believe elections fraud — like the Conservative robocalls scandal — has occurred. One former Elections Canada lawyer believes that Harper's law may, in fact, keep investigators from ever being able to tell Canadians what they've discovered during the robocalls investigation. Meanwhile, when there is an investigation into election fraud underway, Elections Canada won't be able to tell anyone without the consent of the people they're investigating. If a political party is being accused of election fraud and they don't want to the public to know about it, Canadian election officials won't be able to tell them. While Elections Canada won't be able to alert Canadians when an investigation is under way, the "Fair Elections Act" will force them to alert the person they suspect of committing fraud. So, anyone who commits election fraud on behalf of a political party will be warned when an investigation begins, potentially giving them the chance to cover their tracks and hide the evidence. Under the proposed law, if election officials suspect the government has committed election fraud, they will have to get the government's permission to investigate. 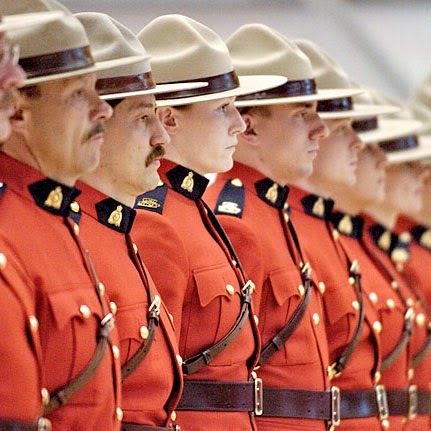 In the past, Elections Canada has been able to hire the RCMP or retired police officers as "consultants" to conduct investigations. Now, they will need the approval of a cabinet minister — the president of the Treasury Board — to hire those investigators. In the past, the Commissioner of Elections — the person responsible for investigating and prosecuting elections fraud — has been part of Elections Canada. They're appointed by the Chief Electoral Officer, who answers to Parliament. And so, fraud investigations are ultimately overseen by all of the MPs elected by all Canadians. The "Fair Elections Act" will change that. The Commissioner will now be appointed by a civil servant and will be accountable to one of the government's own cabinet ministers (the Attorney General). So they won't answer to the entire Canadian Parliament, but instead to the party in power. If, after all of this, a Member of Parliament is actually found to have violated election laws, the "Fair Elections Act" will allow them to delay the time of their punishment. In the past, they've run the risk of being declared ineligible to sit in the House relatively quickly; now, MPs will be able to stay in Parliament while they appeal the ruling. That can take years. According to Canada.com, "critics say some MPs could break the rules getting elected and then drag out lawsuits to hold their seats." As the Ottawa Citizen points out, the Conservatives' new law would do nothing to fix the problem the act was supposed to fix: "nothing in the Bill would hold a political party to account for the unauthorized use of its database by those who have access to it." Andrew Coyne agrees in the National Post: "Frustrated by the slow progress of the investigation into the robocalls scandal the chief electoral officer had asked for greater powers... The act gives him none of these, responding instead by hemming in the powers of investigators on all sides..."
In recent elections, there have been strict limits on the amount of money political parties can spend on their campaigns — including the money they spend on fundraising, which is a big part of the current expense. The "Fair Elections Act" would raise the limit by 5%. And it would exempt fundraising from the total: parties will be able to contact anyone who has given them money in the past (at least $20 in the last five years) without having to count it. That way, they will be able to spend millions of extra dollars on their campaigns. As it stands now, that would give the Conservatives an advantage since they raise more money than the other parties. Not only that: according to the Times Colonist, it's unclear how Elections Canada would even be able to enforce the new rule. Political parties aren't forced to disclose the names of people who give them less than $200 — so there's no way of knowing who falls under the $20-over-five-years rule and who doesn't. In fact, the Chief Electoral Officer "has repeatedly asked for that power but the new bill does not offer it." The "Fair Elections Act" will also allow wealthy donors to contribute more money to political campaigns. The limit on private donations will go up by 25% — from $1200 to $1500. And it will also allow donors to donate more often. This, too, seems designed to give the Conservatives an advantage: they currently receive more donations in the maximum amount than the other parties do. Local candidates in federal elections are forced to file public reports about the money they spend. But according to Canada.com, the money spent by the national political parties — which is a much bigger budget — isn't subject to much public scrutiny at all. In fact, the head of Elections Canada points out that federal parties still won't be required to submit any invoices or receipts in order to prove their claims are accurate. 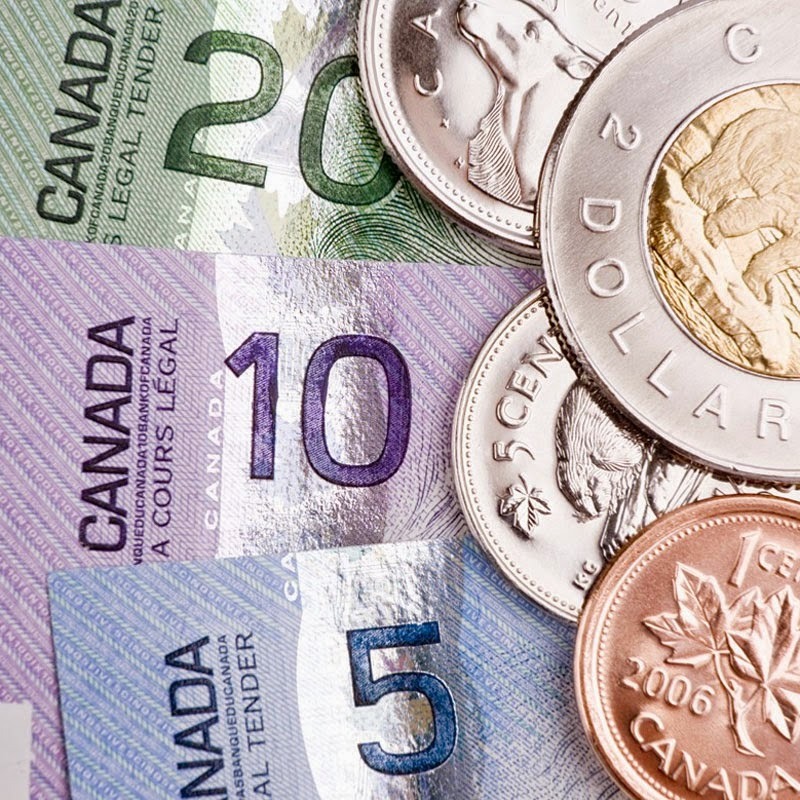 As the CBC points out, the changes to the spending cap would also hurt independent candidates — as well as any candidates with a new political party. While preexisting parties will have preexisting donors to contact, new parties won't. "Chief Electoral Officer Marc Mayrand warned that such an exemption could raise questions about ensuring a 'fair, level playing field' for all electoral contenders... A new party coming in, new candidates coming in would not likely have any contributors from the past, so immediately, they face a gap..."
Independent candidates would also face another disadvantage: while political parties can spend money at any time, independents will only be able to spend money once an election has been called and the candidate has been officially registered. In the past, poll supervisors in all ridings have been appointed by Elections Canada. The "Fair Elections Act" would make it so that the party who won the riding in the last election will get to pick the poll supervisor for the next one. "It's completely inappropriate in a democracy," says the expert who wrote the report the Conservatives keep citing (he's the former chief electoral officer of British Colombia). In fact, his report recommends that political parties have less input into the staff at polling stations, not more. He says that most errors at polling stations are already made for partisans reasons and the "Fair Elections Act" could make it worse. In his words, it could "tilt the balance" of the election. So, at very least, the "Fair Elections Act" clearly raises some serious questions that need to be thoroughly discussed and debated. In fact, in the past, when Canadian governments have changed election rules, they have traditionally consulted very closely with the public, the other parties and the experts at Elections Canada. It makes sense that everyone should agree that Canadian elections are truly free and fair. But this time, the Conservatives haven't consulted with anyone. According to the CBC, the Chief Electoral Officer has complained that "he wasn't consulted before the bill was drafted, and asked why there was no consultation with Canadians before the bill was tabled." Instead of giving Canadians time to explore the new rules, the Conservatives have been ramming the bill through Parliament as quickly as possible. They cut off debate in the House of Commons. Then, they tried to cut off the debate in Committee, too — ending the meeting right in the middle of an answer to a question by the NDP. And they scheduled votes in the House of Commons for exactly the same time the Chief Electoral Officer was scheduled to give his presentation to a House of Commons committee (though he was eventually given his time to speak). Even Stephen Harper thinks Stephen Harper's methods are undemocratic. Back in 1996, when the Liberals were in power, he argued that "using time allocation for electoral law, doing it quickly and without the consent of the other political parties is the kind of dangerous application of electoral practices that we are more likely to find in third-world countries." In the face of overwhelming public opposition, the Conservatives have said they might be open to the possibility of changing some of the most controversial aspects of the bill. But instead of acting upon that suggestion, they've doubled-down, making personal attacks on the head of Elections Canada, claiming he wants more power — the very thing parliament unanimously agreed he should be given. This all certainly makes it seems as if the Harper government is using its power to rig the next election in its own favour — and to settle old scores with Elections Canada. As John Ivison writes in the National Post, "The Harper government has no concept of magnanimity — the Prime Minister and his entourage are apparently unable to forgive an insult or injury; seemingly incapable of acting without vindictiveness." Andrew Coyne echoes him in his own column: "it fits with the broader Conservative theme, heavily reinforced to its own supporters, that Elections Canada is just another of the seemingly limitless list of agencies, institutions and organizations that are out to get them." Even Harper's own former Communications Director calls the bill an act of "vengeance". As a result, according to a recent Angus-Reid poll, nearly two thirds of Canadians believe the Conservatives are using the "Fair Elections Act" to settle scores with Elections Canada. 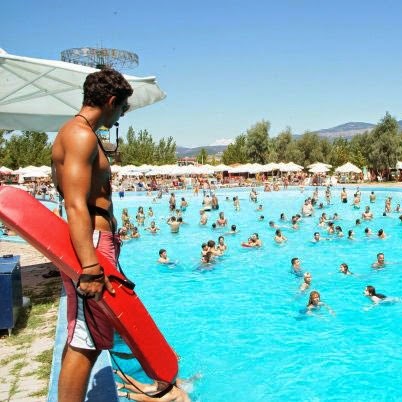 The percentage is even higher among those who are familiar with the bill. So when Canadians go to the polls in 2015, it may very well be that everyone except the Conservative Party agrees: Canadian elections are no longer truly free and fair. 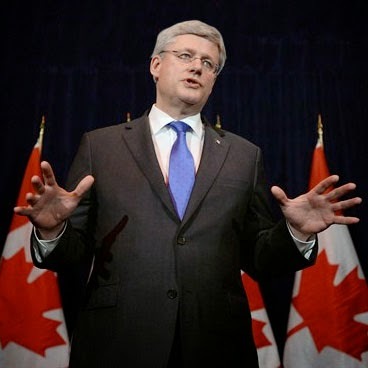 Read about Stephen Harper's War on Science here.